Don't miss this wonderful condominium in a special location. Scandinavian Lodge is a hidden gem that is nestled among trees and multi-million dollar homes on the ski mountain. 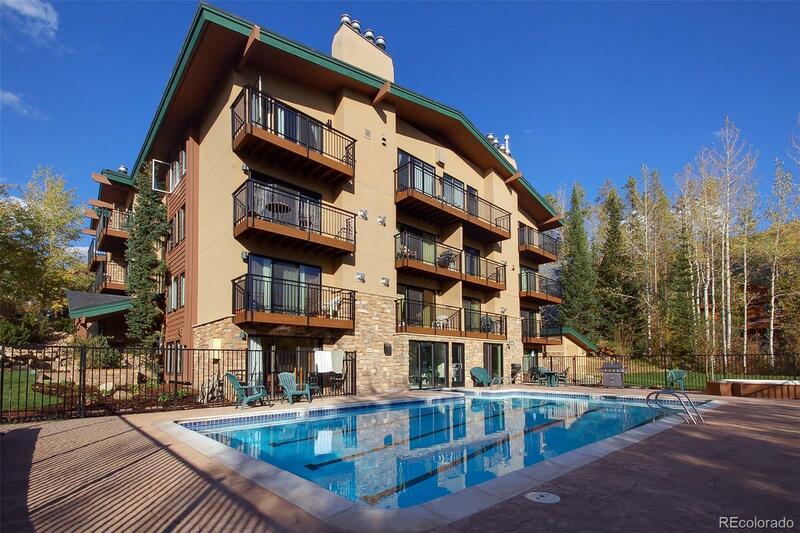 This complex is only 200 yards away from the Thunderhead Lift, but also offers a seasonal shuttle to all guests and owners to and from the grocery, downtown or anywhere in Steamboat. Pamper yourself in the outdoor hot tub and pool area that affords magnificent view of the Ski mountain and valley. The Lodge has completed a major exterior renovation that included the pool area and hot tub, new balconies and decks, stucco entry, new windows and sliding glass doors, new wiring and new landscaping. This unit is excellent for an owner's getaway or a great location for rentals. Where else could you own a slopeside home for this price!